Welcome back to Tip #7 in my 8 Lessons Learned over 8 Years of Indie Publishing. Today’s tip is so very important. When I say this, of course I’m talking about craft. Writers should keep learning how to be better writers, no matter if you’ve written one book or one hundred. But it’s also important to keep learning about the business side of being an indie author, too. What works in this business is constantly shifting, and it’s important to keep growing your knowledge of business strategies along the way. 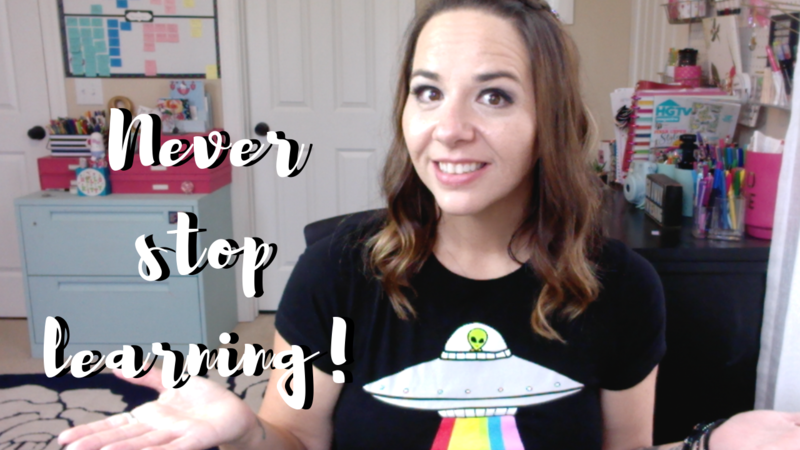 Watch today’s video tip on why writers should never stop learning. I almost hate that this needs to be said, but I’ve seen so many scam artists popping up in the indie community lately that I feel it’s necessary to at least mention it! While it’s very important to keep learning about the business of writing, it’s also more important than ever to be learning from people with a proven track record whose values align with your own. If someone claims they will teach you how to be a bestselling author, make sure they are either a bestselling author themselves or have previously taught others how to do it in a way that follows terms of service guidelines and doesn’t break rules. Many people out there claiming to make you rich self-publishing are simply offering a system where you can buy cheap, ghost-written books and then market the hell out of them with Facebook and Amazon ads. If you’re out to make a quick buck scam-style, go for it. But if you’re an author who wants to make a living writing books that make a difference or that make you happy, that’s probably not the type of course you were looking for. Just be aware that there are lots of snake-oil peddlers popping up out there, promising hopeful indies the world and then “teaching” them how to break rules and scam their way to temporary success. Like I said, I hate I even have to mention it, but if you are truly interested in making this a long-term, joyful career, you need to do a little bit of background research on anyone you are learning from. There are a TON of great teachers out there, like David Gaughran, Joanna Penn, and Mark Dawson. People who have tested systems for themselves and who know how to get results. Before you buy a course, just do your research! End rant! Come back tomorrow for our last tip in this series. I sincerely hope you’ve enjoyed these tips and lessons learned.